For groups looking for value, comfort and reliability, Lucketts Travel is the only choice. 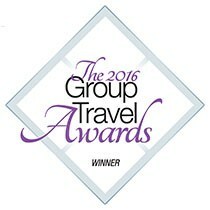 We operate a vast fleet of modern vehicles ranging from 7 to 70 seats, and were voted 'Best Coach Operator for Groups' at the Group Travel Awards 2016. Coach travel is not only flexible but it also means your group arrive together at your choice of location feeling refreshed and relaxed. Travelling together is also considerably cheaper than taking separate cars, and much less hassle too. If you are a group travel organsier planning a day excursion, short break or holiday for your club, society or group of friends then our dedicated Groups Department can provide the tailor-made tour you're looking for. This could include arranging ferry crossings, accommodation, entrance tickets, and tour guides if required; we'll work closely with you to ensure your requirements are met. We've built great relationships with attractions all over the UK and abroad so you could even save more by booking tickets directly with us, alongside your coach travel. Contact us today on 01329 823755 , email sales@lucketts.co.uk or fill out our enquiry form for a quote. Lucketts Travel: Providing coach hire in Fareham, Southampton, Winchester, Portsmouth, Hampshire, Wiltshire, Dorset, West Sussex, East Sussex, Kent, Oxfordshire, Avon & Somerset, London and the Home Counties.